Unilorin bags first runner up at Youth Tax SUMMIT. University of Ilorin, Ilorin, has bagged first runner up at the just concluded Youth Tax Summit, in Lagos. The competition was the first of its kind In Nigeria, organized by a tax club in University of Lagos. The summit consist Project Innovation, where students from different participating schools, presented their ideas to proffer solutions to the problem of tax compliance in Nigeria, with the use of technology. The University of Nigeria (NSUKKA), took first, and the second position was for University of Ilorin, both the University of Lagos and University of Ibadan, jointly took third position. In an interview with Abolarin Muhammad, the team leader for the University of Ilorin, expressed his deepest appreciation to God on their achievement. Abolarin thanked the team Co-Ordinators; Dr. Sa’ad, Dr. Olokooba and Mrs. Salman and Mr. Apalando Ishaq for their unshaken support and words of encouragement. He also expressed his gratitude to all his team members for their cooperation and relentless efforts throughout the program and for also making this a reality . 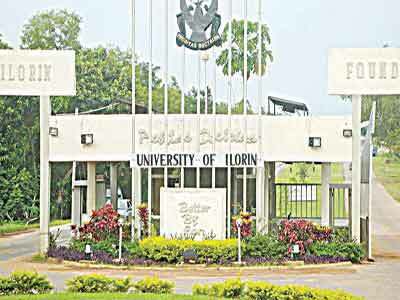 Representatives of University of Ilorin, include Abolarin Muhammad, Ambrose Omolola, Abdulhamid Hayyatullah, Jimoh Omotayo, Sanni Opeoluwa, Asaju Gbemisola, Ali Ibrahim, Oseni Ismail, Oyewole Julius, and Raheem Maryam. Next story NOUN GETS FIRST FEMALE DVC.